BERLIN/SAN PAULO -- Volkswagen AG will boost production and add models in Brazil to challenge Fiat S.p.A. for the leading position in the country's rapidly growing auto market. "Competition in Brazil is intense and we expect it will become even more intense in the future," Thomas Schmall, head of VW's Brazilian operations, said. "We want to further expand our position." VW is trailing Fiat in a three-way race with General Motors Co. for the country's top spot. VW is expanding three of five plants in Latin America's largest economy to increase sales 40 percent to 1 million vehicles in the next four years, Schmall said. 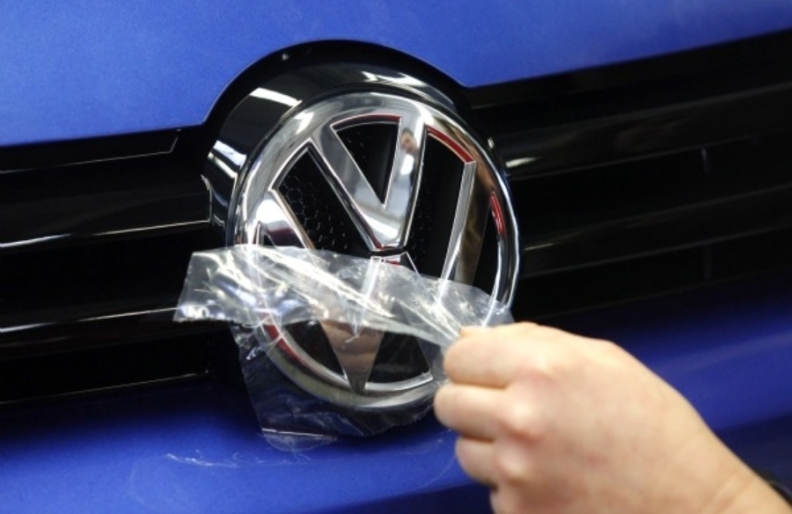 VW, Europe's largest automaker, is investing 2.3 billion euros ($3.3 billion) in Brazil through 2014 as a growing middle class, strong currency and job creation ahead of the 2014 World Cup and 2016 Olympics fuel demand. Auto sales in the country, VW's third-biggest market after China and Germany, will advance 40 percent by the end of 2016 to 3.64 million vehicles annually, according to industry researcher IHS Automotive. Fiat leads this year with a 22.3 percent share of the car and light truck market through mid-March, according to data from Brazilian dealers association Fenabrave. VW is second with 21.8 percent and GM is third with 18.2 percent. VW and Fiat have been trading the top spot back-and- forth, while facing increasing pressure from rivals pouring in to capitalize on the market's potential. "Brazil has never experienced a moment such as the present one, having 45 brands selling their cars here," said Paulo Sergio Rosa, an automotive consultant from Consultoria Columbia in Sao Paulo. "The math now suggests a subtraction for everyone. VW is making a huge effort to try and get the lead back." Fiat is spending 10 billion reais ($6 billion) through 2014 to cement itself as the country's biggest automaker and boost deliveries to more than 1 million vehicles. Brazil is especially important for Fiat because it does not have a strong presence in the other growth markets of China, Russia and India. "Our profits don't come from Italy, but from Brazil," CEO Sergio Marchionne said Feb. 15. Fiat deliveries in the country increased 1.6 percent last year to 761,400 vehicles, generating revenue of 9.25 billion euros, or 25 percent of total sales, according to its annual report. The VW group, whose revenue in Latin America increased 40 percent last year to 13.5 billion euros, sold 711,500 vehicles, including the Audi luxury brand and commercial-vehicles division, in Brazil in 2010. VW will introduce revamped versions of the Passat sedan, Touareg SUV and Jetta compact sedan this year in the country, continuing a roll-out that featured 26 new models or facelifts at the namesake VW brand in 2009 and 2010, Schmall said. The carmaker will lose 2.5 percentage points of market share in Brazil through 2016, according to IHS forecasts. The best-selling car last year in Brazil was VW's Gol, with deliveries of 293,783 of the hatchback, followed by Fiat´s Uno, with 229,323 sold. The Gol, based on the underpinnings of VW's Polo, starts at 29,290 reais, while the Uno's base price is 26,490 reais, according to the carmakers' Brazilian Web sites. "What makes it so relevant for VW, but also for GM and Fiat, to retain share in that market is that the pricing is so strong," said Guido Vildozo, an IHS Automotive analyst in New York. "A large influx of domestic production in coming years is going to put a lot of pressure on the established manufacturers." Brazil's economy will expand 4.03 percent this year, according to a central bank survey of about 100 economists published this week. Brazilian Central Bank President Alexandre Tombini said March 22 the economy has a "great" medium and long-term growth outlook. "We're expecting a positive economic development in coming years," Schmall said in the March 11 interview. "It's our goal to share in the growth in auto markets in Brazil and other Latin American countries." VW aims to invest 53.5 billion euros in its global automotive business through 2015, with another 10.6 billion euros to be spent through its two Chinese joint ventures. VW will add more than 50,000 workers through 2018, with about two-thirds of hires in China as the manufacturer aims to spur sales to more than 10 million vehicles globally and surpass Toyota Motor Corp. as the world's largest automaker. Expansion in South America and Southeast Asia is important to VW as a counterweight to the carmaker's increasing reliance on China, Bernd Osterloh, head of VW's works council, said in a an interview March 10 in Wolfsburg. China accounted for 26 percent of VW's deliveries last year. The carmaker's operating profit in the country, the world's biggest auto market, more than doubled in 2010 to 1.9 billion euros. "Development in China is very good and potential for further growth is no doubt in place," said Osterloh, who is also deputy head of VW's supervisory board. "But we as the works council don't want to become too dependent on China." Volkswagen may need to adjust production at its Brazilian factories and add models to reap benefits from the country's economic advance, he said. "Our capacities are already nowadays running close to limits," Osterloh said, noting that the commercial-vehicle unit would benefit from an added offering. "We could grow even more with new products."